How did I end up on Camano Island? I grew up in Arlington, WA and ate many meals from our family garden. After I moved to Seattle, my dad helped me plant my first garden and I began spending all my free time gardening and raising city chickens. To better understand plants and growing food, I absorbed all the information I could from classes offered by Seattle Tilth and the Horticulture program at Edmonds Community College. After seven years of working in social work, I took a job with a residential landscape company. Although I really enjoyed the work and was thrilled to be outside, I found that I was really most passionate about growing food. I decided that I needed to farm, so I moved into a cozy cabin on Hogsback Farm on Vashon Island and spent the season immersed in a small scale farm. As I completed my farm internship on Vashon Island, it became clear that I needed to keep farming and was ready to move out of the city! 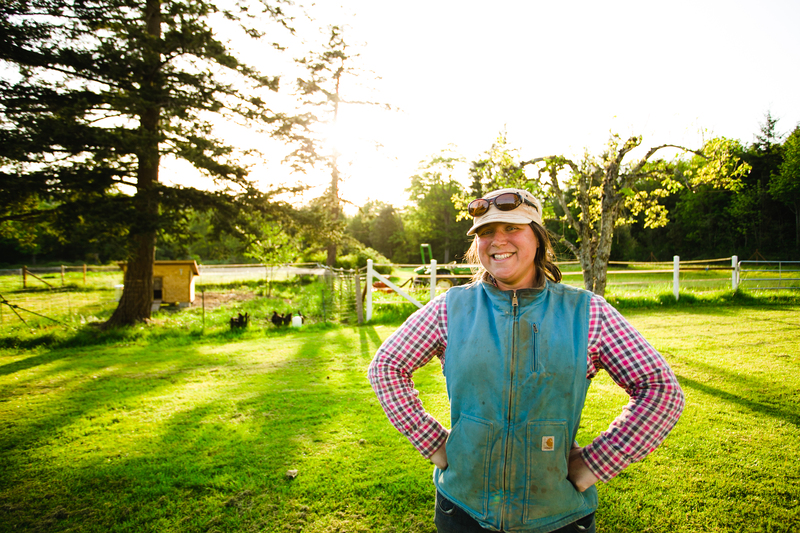 I was curious about larger scale farming and interested in living north of Seattle, so I sold my house and moved to Whatcom County where I completed a second full season farm internship at Cloud Mountain Farm Center. I decided to try farming on my own and found the perfect location on Camano Island. I am thrilled to continue farming here on Camano Island! I have ended up in a place that I never imagined for myself and I am so thankful for all your support in this journey!